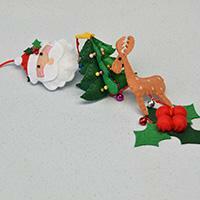 Summary: Do you want to make a pair of dangle earrings for the coming Christmas? If yes, please just follow me to see today’s Pandahall tutorial on how to make Christmas Pearl dangle earrings with red ribbon. 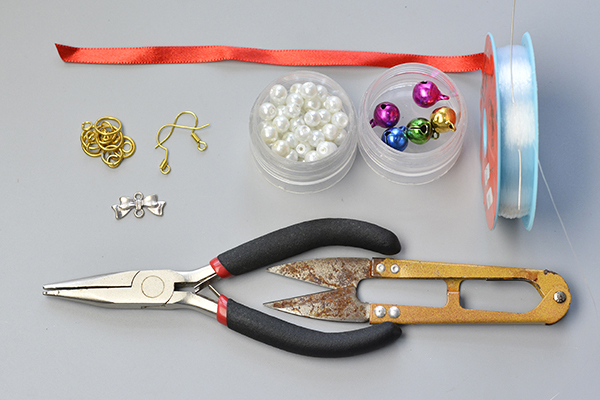 I believe that this post can help you if you are worrying about how to prepare the Christmas jewelry. 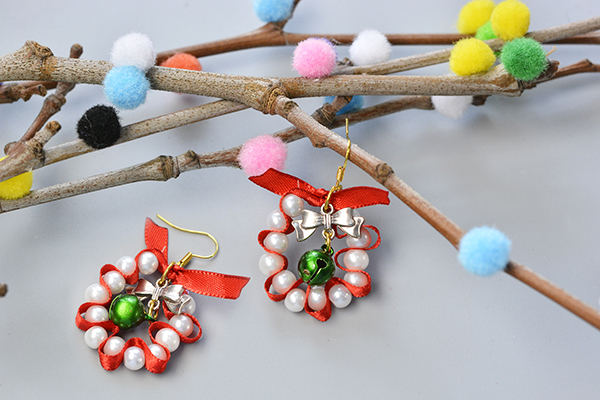 Now, I am going to share you a Pandahall tutorial on how to make Christmas pearl dangle earrings with red ribbon. Do you need them? Then let’s learn the making details together. 3rd, add another pearl bead and stitch it onto the ribbon, then continue to slide more pearl beads onto it (as shown in the picture). 3rd, add a golden earring hook and connect it with the dangle by a jump ring. See, do you love this pair of Christmas earrings? 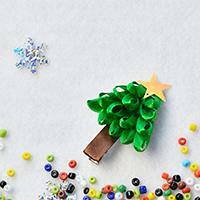 You can try to make them if you want to spend a special Christmas holiday. 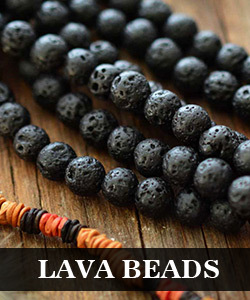 And there are many crafts about Christmas in lc.pandahall.com, just go and check the website and find what you like. See you!